Proper political parties have policies, ideas that they want to implement to make Britain a better place. These policies are thoroughly thought through and properly costed. They then come under intense scrutiny from other political parties and from the press. Before an election all the policies are bundled together to make a prospectus. If a party wins power it is held to this prospectus. 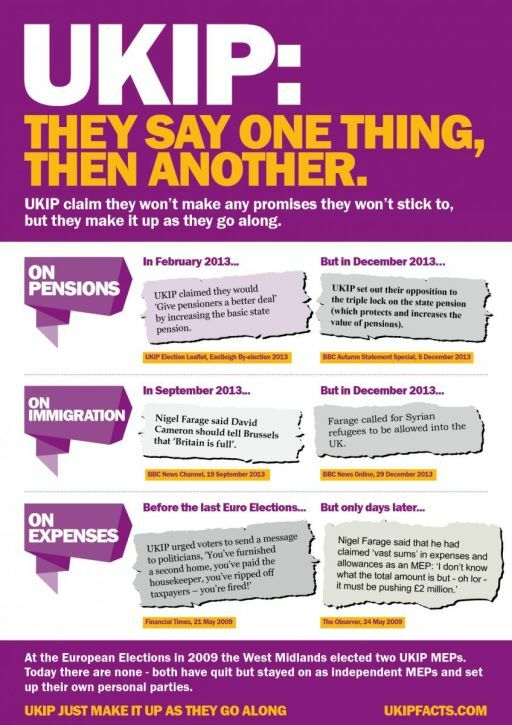 UKIP does not have policies. Instead it has a succession of populist ideas thought up by Nigel Farage then announced by him with no thought or costing. These ideas are often totally contradictory and many are unworkable. Until recently the BBC was promoting UKIP very hard, because they saw it as a way to split the conservative vote. So they gave UKIP and its “policies” no scrutiny. And the BBC have 50% of the total UK news reach. 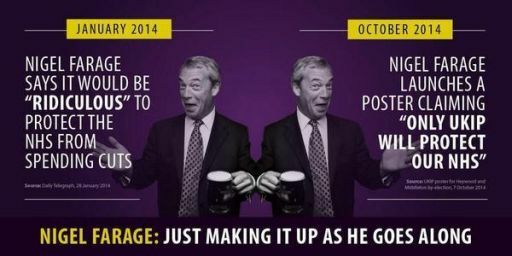 All Nigel Farage wants is votes and money. So he says what people want to hear in order to get those votes. There has been no way he is going to achieve power, so he can say anything, he will never have to actually deliver. So Farage uses what in politics are known as “wedge” ideas. These are single issues of discontent designed to split off members from another party. Farage kept coming up with wedges designed to steal a certain kind of Conservative voter. He went after the older person who has not adapted to the modern world and he did this by blaming foreigners. This worked in a limited way, so that with PR voting for the European Parliament he was able to gain seats. However most Conservative voters are bright enough to see straight through him. So the strategy was ultimately limited in its potential. Then Farage saw another opportunity to steal votes from another party. 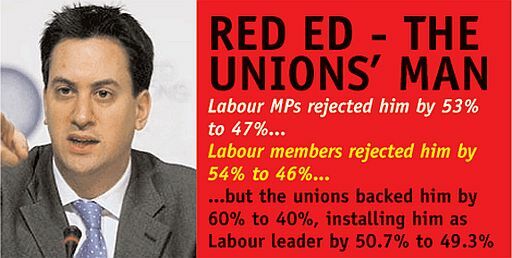 The Labour party voted itself a very weak leader, imposed on them by the trade unions. 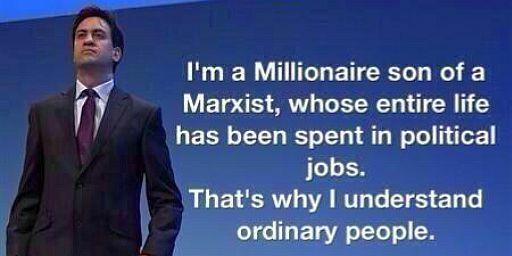 Ed Miliband is part of the rich London political elite. He has no real world experience, doesn’t know what the working class are and doesn’t know where the North of England is. Farage has seized on this by creating wedges targeted at blue collar workers. 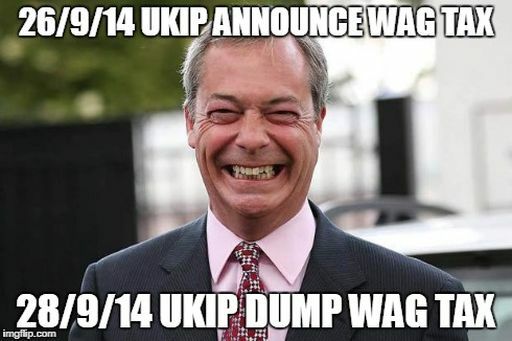 Just listen to everything he says or look at UKIPs “policies”. And now this tactic is targeting less educated people who are more likely to believe him. 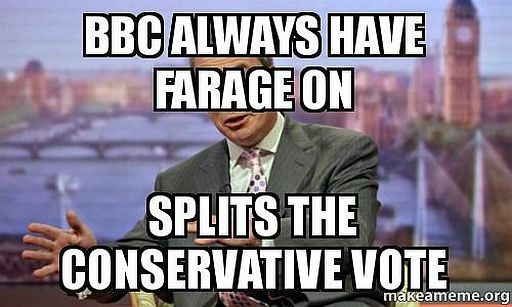 After a while the BBC realised what was going on, so they did a quick 180 degree U turn from promoting Farage to demonising him. But late in the day. They have already created a huge profile for him. He has played them beautifully. Last week we had the Heywood and Middleton (Jim Callaghan’s old constituency) by-election. A Labour safe seat. In the 2010 General Election Labour came first with 18,499 votes, over the Conservatives with 12,528. In a mid term by-election you would expect this gap to open up. Instead Labour got 11,633, over UKIP on 11,016. A majority to Labour of just 617 votes for their hapless trade union candidate. It is pretty obvious that the once safe Labour seats of the North are now happy hunting grounds for UKIP. Labour MPs are going to lose their seats in the 2015 General Election. UKIP had a “manifesto” for the 2010 General Election, full of Farage ideas designed to create wedges to recruit disaffected Conservatives, he was so proud of it that he signed it. With his subsequent switch to recruiting blue collar workers this manifesto was getting a bit embarrassing, so he disowned the whole thing. 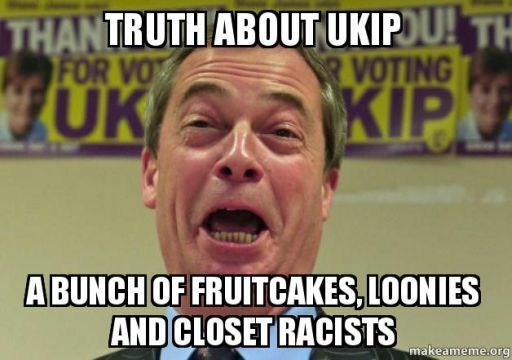 So now we have laid the ground work let’s look at some UKIP “policies”. The EU. 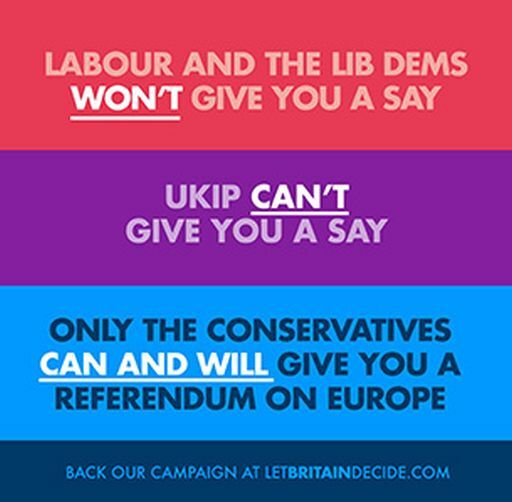 UKIP really have had their thunder stolen on this one because only the Conservatives can and will deliver a referendum. So Farage has been reduced to lying to cast doubts that the Conservatives will actually do this. Anyone with a brain realises that Cameron desperately wants a referendum. It gives him a huge stick to beat the EU with in his renegotiations. And remember that only three British PMs have ever stood up to the EU. Margaret Thatcher and her rebate, John Major with his Maastricht opt outs and David Cameron with his Eurozone rescue opt out and his EU budget reduction. HS2. UKIP utterly oppose this white elephant vanity project that is supported by both Labour and the Conservatives. They can project this as hard working Northerners subsidising rich Southerners (which is true). As a bonus they win many thousands of NIMBY votes along the HS2 corridor. Expect Labour to do a U turn sometime soon on HS2, even though it was their idea, they are desperate to get some votes back. Immigration. UKIPs core is bigotry, they don’t care about the immense benefits that immigration has brought Great Britain, they just appeal to the ignorant by making huge noises about the small number of areas where immigration has been less than ideal. The UK is creating more jobs than the whole of the rest of Europe put together and needs people to do those jobs. UKIPs bigotry would massively damage the country. And Farage is married to an immigrant! They say Westminster is the establishment, it is out of touch and it is corrupt. You could argue that UKIP is the most corrupt political party both in the EU and in local government. And they themselves are a Westminster party now! Everything else is soundbites, pathetic populist wedges, or wrapped up bigotry. “The law of the land must apply to us all” for instance and “Prioritise social housing for people whose parents and grandparents were born locally”. It is obvious that there are enough uneducated people and bigots in Britain for UKIP to progress. Farage is a charismatic, populist leader. However UKIP internally is an ongoing train crash that will continue indefinitely under his dictatorship. So far I think he has been good for the country because he has forced people to think and has questioned establishment stupidity. However if he ever got real power he would be a disaster for us, trying to run it like he runs UKIP and implementing policies based on populism and bigotry. 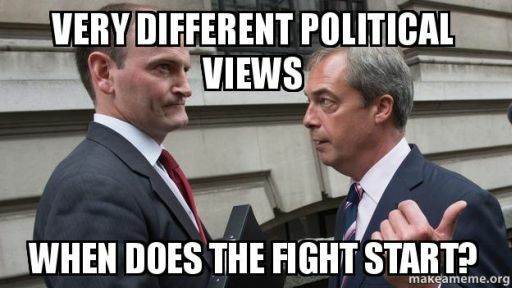 Carswell joining UKIP as an MP is interesting. Unlike Farage he has intellectual coherence and real beliefs. In the past Farage has destroyed such people in UKIP when he perceived them as threatening his position, he only wants yes men. But Carswell is an MP, which makes things different. And he is not going to jump when Farage tells him to. This word “bigot” makes no sense to me as the definition of a bigot is “a person who is intolerant towards those holding different opinions.” so therefore if you call someone a bigot you become the bigot yourself. I’ve never seen anyone actually explain what it is UKIP say which is “intolerant towards those holding different opinions” so this whole UKIP being bigots thing needs some explaining. Also “These policies are thoroughly thought through and properly costed” – UKIP were the only party to get their 2015 manifesto independently costed so they’ve come along way since this article was posted.